There’s never a better time than the New Year to reset, relax, and recharge. Let these plant-based wellness retreats help you find your zen. Fifty hectares of rolling, emerald lawns, swaying palm trees, and peaceful gardens are the backdrop for this retreat, which is located just 90 minutes from Manila and employs a holistic approach to wellness. Programs include Detox Cleanse, Wellness Experience, Mind & Body Restoration, Weight Management, Beauty & Vitality, and Fitness. Regardless of which you pick, you’ll be treated to award-winning vegan cuisine from The Farm and its celebrated raw restaurant, Alive!, which sources many ingredients from its own, on-site gardens. The Acqua Sanctuary—The Farm’s newest addition—offers healing, calming water therapies. The best part? With a luxury villa as your base, you’ll be in full-on vacation mode as you reset. 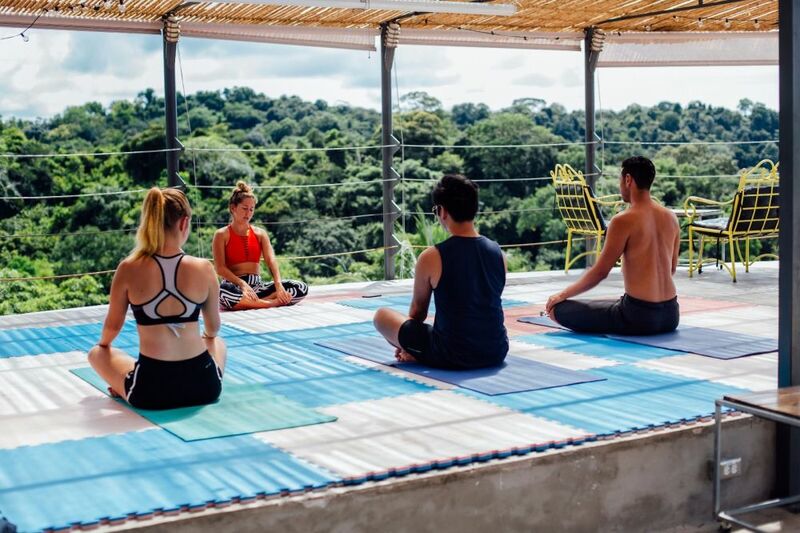 This eight-day getaway to Manuel Antonio Beach in Quepos, Costa Rica—it’s offered throughout the year—combines what its organizers call the “sister sciences” of ayurveda and yoga to help participants get on track toward a balanced, healthy, and wholesome lifestyle. 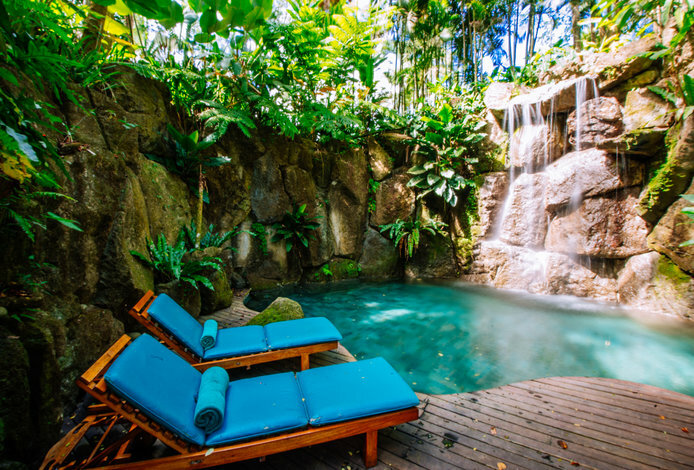 Enjoy Ayurveda treatments, bliss out in yoga sessions, and explore Costa Rica’s jungles, beaches, and mountains, all while feasting on fresh, locally grown vegan food prepared according to Ayurveda principles. For an experience that’s equal parts relaxing and restorative, look to Sanará, a wellness retreat in the bohemian Mexico hamlet of Tulum. 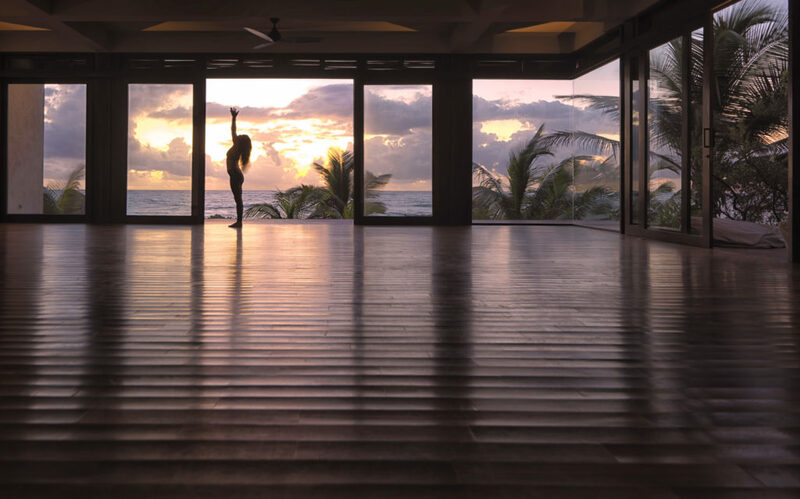 Sanará, which means “you will heal” in Spanish, offers well-styled amenities, including a beach yoga studio, a comprehensive Wellness Center, and an award-winning restaurant, The Real Coconut, whose menu is packed with colorful, flavorful, plant-based dishes. (Although TRC’s menu isn’t exclusively vegan—farm-fresh eggs are offered in a few dishes—it is entirely devoid of gluten, grain, dairy, and refined sugar.) 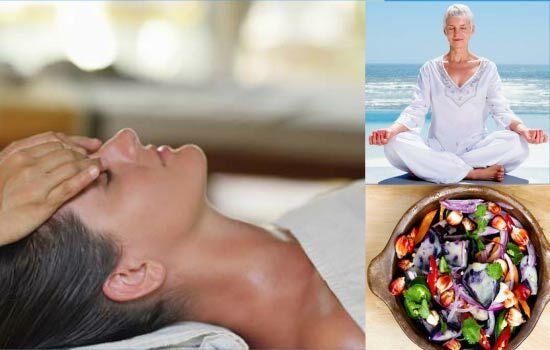 When it comes to wellness, Sanará’s independent therapists work to meet guests’ individual needs, (deep relaxation, an energy boost, or a complete lifestyle overhaul) with services such as massages, detox baths, and one-to-one counseling and consultations. With its setting on the shores of the turquoise Caribbean Sea, what could be more inspiring? If you’re in need of a major nutritional makeover or want to kickstart an all-natural weight-loss journey, Balance for Life, which is located on Florida’s Deerfield Beach, offers a whole, natural, organic, and plant-based food and beverage program that’s absent of additives like oil, salt, and sugar (heads up: there’s no snacking between meals, so come prepared with your will power). Instructors here also offer complementary programs, such as stress management, grocery shopping, and cooking, that, when combined, create a comprehensive program aimed at long-term weight loss. Of course, fitness is part of a healthy lifestyle, and options here include morning walks, Pilates, water aerobics, yoga, tai-chi, qi-gong, and mindful meditation. Although you won’t be sipping margaritas by the water at this beachfront retreat, if you show up committed and ready to embrace its clean-living lifestyle, you’ll return home feeling refreshed and renewed. From February 15-25, 2018, passengers aboard the MSC Divina will sail around the Eastern Caribbean—starting in Miami and including stops in the USVI, St. Kitts and Nevis, Martinique, Barbados, and Guadeloupe. But unlike traditional cruises that whose buffets are piled high with calorie-laden indulgences, cuisine aboard this special cruise is entirely plant-based and designed to help passengers feel their best. Good thing, because when they’re not on board, passengers will spend their plant-powered energy snorkeling the Caribbean’s crystal-clear waters and exploring the region’s exotic ports on foot. 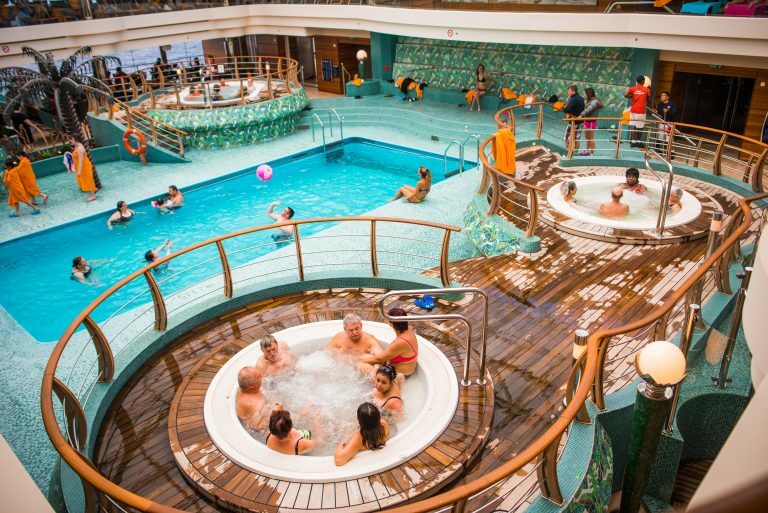 During what its planners describe as a “pampering, relaxing, and educational vacation,” passengers will also enjoy lectures, workshops, and private consultations by leading figures in alternative health and holistic healing. Now that’s a vacation that keeps on giving.